Authors names are clickable and will generate report that shows all domains that an author is linking to. From this report you can nofollow or strip a domain(s) and see all links an author’s posts has to a domain. 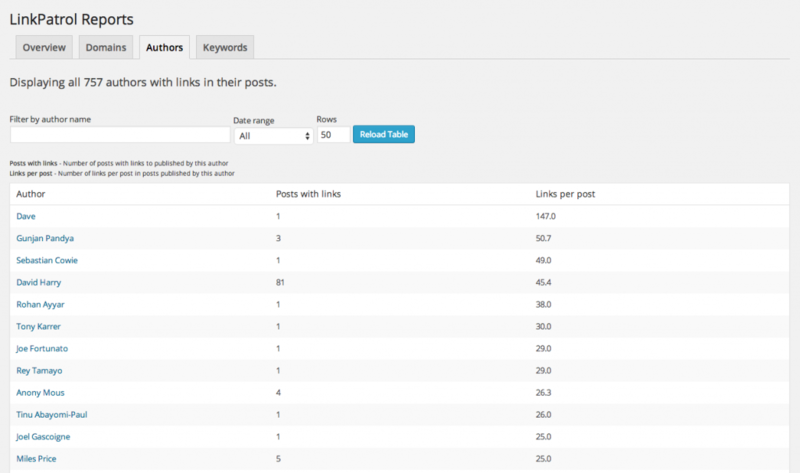 This report allows you to see all links by current author to current domain. You can also nofollow or strip a link(s) from this report.